Last month, Apple launched a new series in the App Store called ‘Made in Canada’, which will feature apps made by developers coast-to-coast. Vancouver was the first debut city, and today we now have the second: Toronto-Waterloo. The theme as we move across the country is Canada 150, ahead of our nation’s 150th birthday. 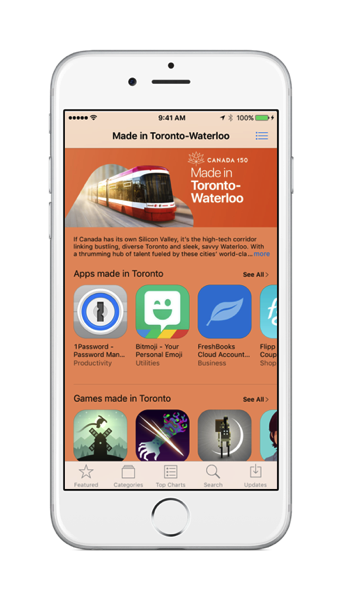 The new section features apps and games made in Toronto, apps made in Waterloo, and more apps and games from Ontario.